6.Then Enter FC Coupon CB50 Under GOT A PROMO/FREEFUND CODE? field. 8.Boom! You will get 100% cashback (50 Cashback) in FC Credits instantly. 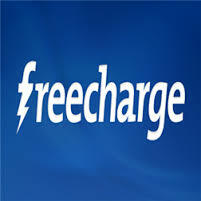 1.Cashback is fixed Rs 50 on 50 or above recharge. 2.Offer valid till 27th Oct'15. 3.Offer valid once per user. 4.Offer not valid on Airtel Transactions. 5.Offer valid once per debit/credit card.